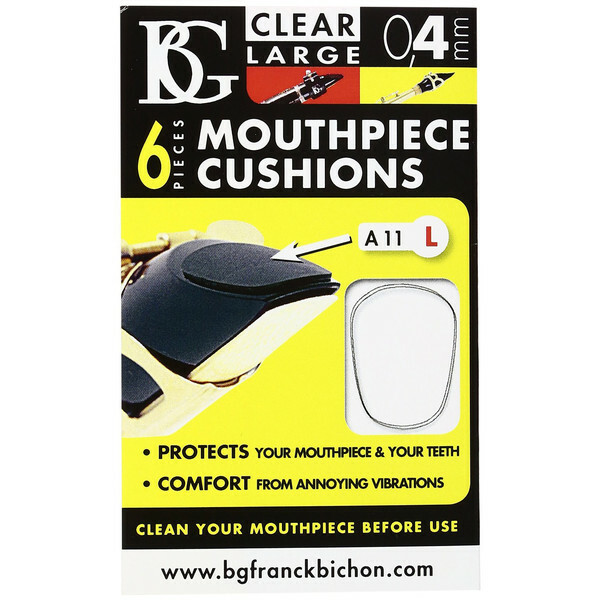 The BG Mouthpiece Cushion Sax And Clarinet - Large - 0.4MM is a 6 pack of self-adhesive mouthpiece cushions designed for single-reed instruments. The mouthpiece cushion is designed to provide comfort and minimise any annoying vibrations. This improves sound quality and the stability of your instrument. It also protects your mouthpiece and your teeth from any damage. 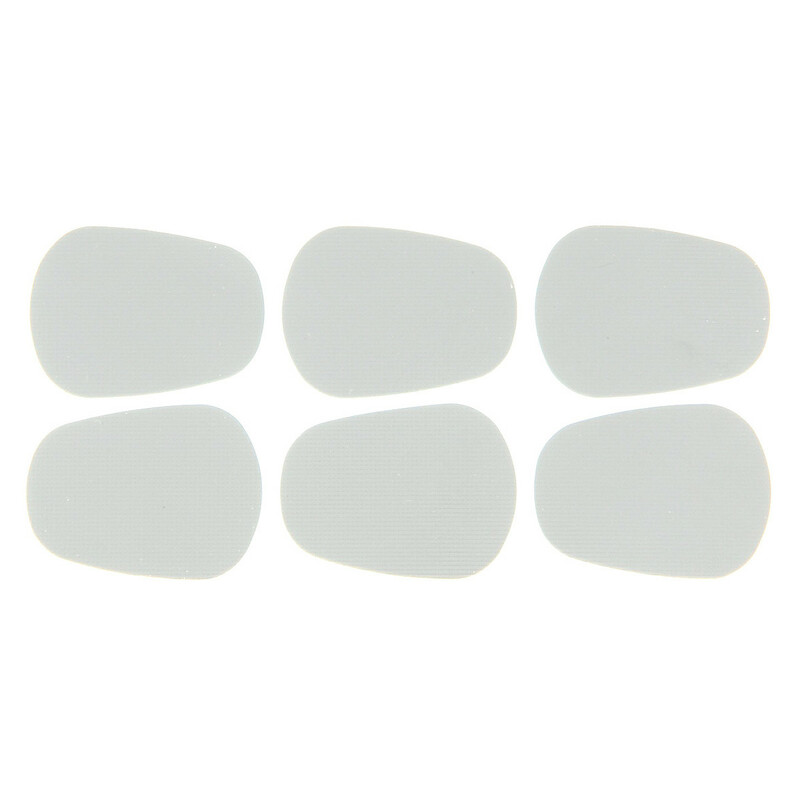 The pack of 6 cushions are finished with a clear coating and measure at 0.4mm.